I dream of having my dream kitchen someday. What I have right now is a makeshift kitchen right beside our laundry area. Sometimes I think it is one of the reasons why I really am not excited to cook, the lack of â€œambianceâ€ makes me lazy about cooking and certainly my makeshift kitchen does not motivate me at all. Things are not convenient and are quite disorganized. If I had my dream kitchen it would be complete with great kitchen cabinets, a full gas range, an easy to clean kitchen and attractive counter-top and just so many other things in a well organized and functional space. I have actually been looking for kitchen cabinets as I have learned that it can be less expensive to buy kitchen cabinets online. 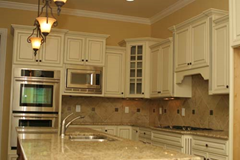 I learned you can buy kitchen cabinets online at a lower price than most furniture stores at OnlineCabinetsDirect.com. 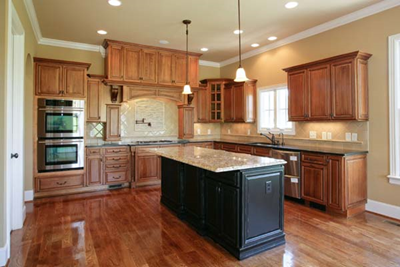 This website sells quality RTA kitchen cabinets, at a great prices. 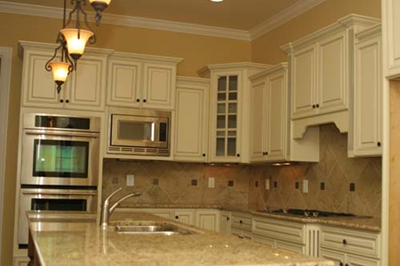 Their ready to assemble cabinets are made of solid maple wood that comes with different decorative molding, depending on the style you want. I see they have mocha deluxe, ginger deluxe, french vanilla deluxe with different finishings: black distress finish, ginger vandyke rub finish or mocha distress finish. All of these look great, but my favorite is ginger deluxe. Oh yes, donâ€™t worry about the assembly, they have uploaded a video on YouTube to help with assembly, and this is linked to their website. So my dream kitchen is starting to take shape, with the help of onlinecabinetsdirect.com, even if not it is only in my mind.